Welcome to Travel Guide 2 South Korea, the site about travel, tourism and vacations in South Korea. 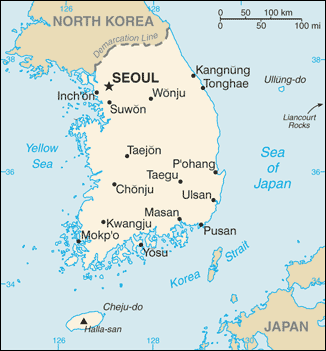 South Korea, officially known as the Republic of Korea (ROK) is a country on the southern half of the Korean Peninsula in eastern Asian. 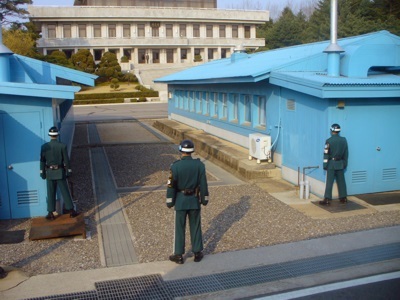 To the North, South Korea borders across the demilitarized zone (DMZ), North Korea, which is officially known as the Democratic People's Republic of Korea (DPRK). Although there is a ceasefire between North and South Korea, legally the two states are still at war, and both claim sovereignty over the entire Korean Peninsula. 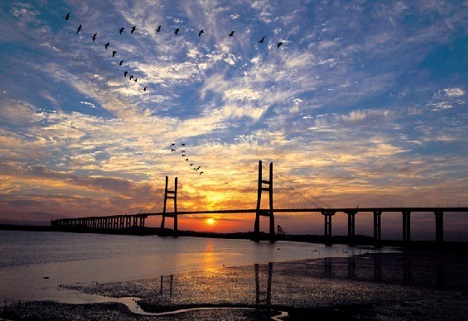 South Korea has coasts on the Yellow Sea, the East China Sea and the Sea of Japan. The passage joining the East China Sea to the Sea of Japan is known as the Korea Strait, and just across it (it is about 120 miles (200 kilometers) wide), lies Japan. To the West of South Korea, across the Yellow Sea, lies the People's Republic of China. As of February 2007, South Korea had an estimated population of 49,024,737. Just under half of the country's population, perhaps 23 million people, live in the capital Seoul or the surrounding metropolitan area, which is the second most populous metropolitan area in the world after Tokyo, Japan. 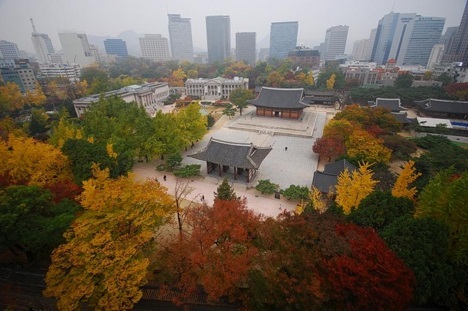 Apart from Seoul, there are many other cities in South Korea including Inch'on, which although a major city in its own right, is considered part of the greater Seoul metropolitan area, as well as Gwangju, Pusan (Busan), Taegu (Daegu), Taejon (Daejeon) and Ulsan. South Korea has either the 11th or 12th largest economy in the world, and 3rd or 4th largest in Asia (behind China, Japan and possibly India) depending on the method of calculation used. In the 1950s, South Korea was one of the poorest countries in Asia, but grew rapidly for the next decades, building an economy based around exports of manufactured goods, including automobiles, shipbuilding, steel, as well as, in more recent years, electronics and semiconductors. As a result of this rapid industrialization, South Korea was classified as one of the Four Asian Tigers along with Hong Kong, Singapore and Taiwan. As a result of this progress, today South Korea has achieved a standard of living comparable to some European countries, such as Portugal or Spain.